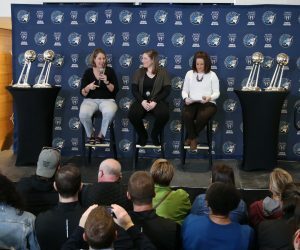 In today’s Flashback Friday, we take a look at back at new Minnesota Lynx forward/center Plenette Pierson’s championship experience throughout her WNBA career thus far. 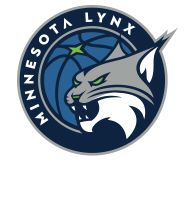 If there’s one thing that Pierson brings to the Lynx this season, it’s playoff experience. 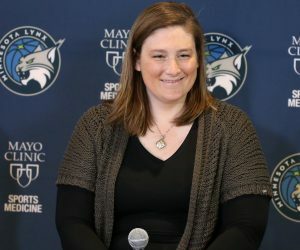 During the course of 14-year WNBA career, Pierson has reached the playoffs eight times. Of those eight playoff appearances, Pierson reached the WNBA Final three times as a member of the Detroit Shock, claiming two championships. In 2006, Pierson and the Shock took on the Sacramento Monarchs in the 2006 WNBA Finals. Detroit ended up winning the series 3-2. Pierson wound up averaging 6.8 points, 4.6 rebounds, 1.6 assists and 1.4 blocks in 19.6 minutes per game in the series. In 2007, Pierson and the Shock faced the Phoenix Mercury in the 2007 WNBA Final. The Mercury won the series 3-2. Pierson averaged 14.2 points, 5.4 rebounds, 1.2 assists and one block in 22.2 minutes per game in the series. In 2008, Pierson and the Shock battled the San Antonio Silver Stars in the 2008 WNBA Finals. Detroit swept the Silver Stars 3-0. 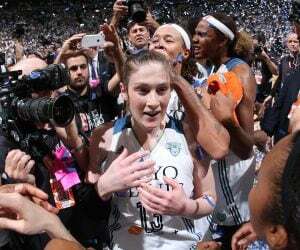 Pierson, who earned her second WNBA title, averaged four points in limited minutes in two games that series. 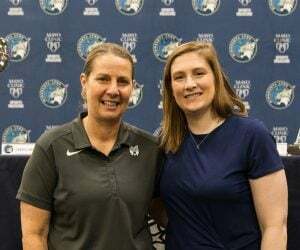 Pierson, who signed with the Lynx earlier in February, looks to help give the Lynx even more playoff experience as the team gears up to once again make a deep run in the 2017 season. Minnesota kicks off the 2017 season at 6 p.m. May 14 against the Chicago Sky at Xcel Energy Center.